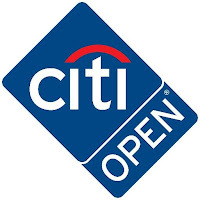 Tonight, the Citi Open Tennis Tournament will commemorate 50 years of professional tennis in the Nation’s Capital with an unforgettable bash featuring some of the sport’s brightest stars. The festivities will take place at the Tournament Site on Friday, July 27, from 7:00 PM - 10:00 PM. Notable guests include former World No. 1, eight-time Grand Slam champion and three-time tournament champion Jimmy Connors; World Champions 1968-69 U.S. Davis Cup Team members Bob Lutz, Charlie Pasarell, Dennis Ralston and Stan Smith; and former World No. 3 and 1980 singles and 1976 doubles tournament champion Brian Gottfried. Current players committed to play in this year’s event will also make appearances throughout the evening. Guests will be treated to hors d’oeuvres, savory stations and cocktails provided by Ronald Reagan Building & International Trade Center (TCMA), The Daily Dish, The Dish & Dram, Ruth’s Chris Steakhouse, Little Coco’s, Baked by Yael, Founding Farmers & Distillers, Founding Spirits and Banfi Wines. A firework display will conclude the evening at 9:50 PM. Tickets are $69.50 and available now for purchase at www.citiopentennis.com. 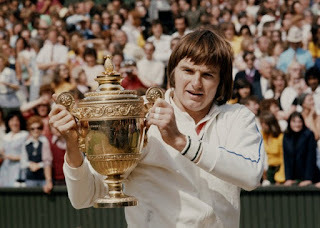 The tournament was founded by former U.S. Davis Cup captain Donald Dell and John Harris in 1969. It was one of the first open professional tennis tournaments in the country. Dell asked the legendary Arthur Ashe if he would be willing to play in a tournament in Washington, DC. Ashe replied that he would, if only the tournament was to be played in a public park in a naturally desegregated neighborhood, where everyone, regardless of race, has the opportunity to watch. Since then, the tournament has been in beautiful Rock Creek Park in the heart of the city. A few years after its founding, Dell and Harris donated the tournament charter to a local non-profit to benefit local youth. Ever since, the Washington Tennis & Education Foundation has owned the tournament. The DC-based organization provides underserved area youth with a safe environment to learn tennis skills and life skills. WTEF is dedicated to building life champions through tennis and academic excellence. We work to give underserved kids a safe environment they trust and where they can excel. We empower our students to achieve their highest potential by developing meaningful values and critical life skills that will lead them to success. We also engage them in productive activities that teach discipline, build confidence, improve school performance, and encourage a healthy lifestyle. WTEF builds life champions. For more information, visit www.wtef.org.